My name is Evan Moss and I’m a 9-year-old boy who likes Pokemon! A lot! When I was 1 month old I started having seizures, and when I was 4 years old I went to Dr. Weiner and he gave me brain surgery to stop my seizures. It stopped my seizures for two years but not my appetite, it just kept on growing! It is still growing. After two years my seizures came back and now they are longer. When was little I had like 15 small seizures a day. Now I have 10-minute seizures but I only have one every 14 days or so. I have two dogs. One is Dinky and the other is Mindy. Dinky is our family dog and he really belongs to my sister, Aria. Mindy is my seizure dog. Getting Mindy took a long time. We had to raise a lot of money and wait almost a year to meet her and then we had to drive from Virginia to Ohio to get Mindy. Having Mindy is very fun! When I first got Mindy it was pretty hard because she didn’t listen to me, but now she does and she knows a lot of commands. I’ve even taught her some new things, like climbing up into the fort section of my swing set. The best thing about having Mindy is playing with her and I love racing with her. If she is on her leash she runs right next to me but I know she can run really fast. I have epilepsy but I can do some extraordinary things like ride a zip line! Epilepsy can also be bad, though, and I’ve heard about some seizures that can kill you! Sometimes I worry that will happen to me but I don’t think about that too much, plus I have Mindy to help me. Mindy barks when I have a seizure so my parents will know. When I have a seizure, my mom and dad give me medicine to help stop the seizure. People ask me a lot what it feels like but it’s hard to describe and sometimes I don’t remember having a seizure. JoAnne Lipsy came home one day in April 2011 to find that her 5-year-old golden retriever-pitbull mix, “Sascha,” had scarfed down a dark-chocolate bar that Lipsy’s mother set on the couch. 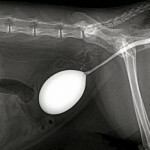 Lipsy rushed Sascha to an emergency veterinary hospital in Avon. “I didn’t wait for her to vomit, and she vomited in my car — chocolate everywhere, in between the seats. It was horrible,” Lipsy said. Chocolate and other types of candy are toxic to dogs. Every Christmas — and other holidays when candy abounds — pet owners dash to veterinary emergency-care rooms after their dogs scrounge around and gobble chocolate, baked goods with raisins or other things that are toxic to them. In high doses and left untreated, candy can cause serious damage to a dog’s kidney, pancreas or liver. Insurance companies that sell pet insurance see a rise in claims during Christmas, as well as Halloween and Easter. Philadelphia-based Petplan Pet Insurance, for example, analyzed claims and found that those related to dogs eating chocolate, raisins or candy are 284 percent more likely between Dec. 21 and Dec. 31 than the average of other days in the year. For Lipsy, her visit to the veterinarian resulted in a $769 claim with her pet insurer, Petplan. The average claim cost to pay for a veterinary visit was $487 during the holiday season, said Jules Benson, a veterinarian and vice president of Veterinary Service at Petplan. The average claim for Seattle-based Trupanion Pet Insurance is about $430 and can be more than $1,500 according to Trupanion’s Chief Veterinary Officer, Kerri Marshall. “In our experience, Christmastime has been the biggest time for chocolate ingestion, with Halloween coming in as number two in chocolate-related claims, followed closely by Easter,” Marshall said. The holidays come with all sorts of food people eat that can be toxic to dogs and cats. “It’s not just chocolate,” Elisa Mazzaferro, a doctor of veterinary medicine, and Ph.D, who specializes in emergency and critical care at Cornell University Veterinary Specialists on Canal Street in Stamford. Pets also shouldn’t have table scraps, including turkey drippings or bones, veterinarians say. Even seemingly innocuous things like sugar-free candy can be dangerous. Xylitol also can be found in other sugarless products, like candy for diabetics, said Benson, the veterinarian at Petplan Pet Insurance. Grapes and raisins can cause kidney failure in dogs while macadamia nuts can cause temporary paralysis, Mazzaferro said. In March, Ann Dowd of West Haven stepped out of her kitchen for a few minutes, and her 5-month-old New Foundland, Bruno, leaped up and started gobbling two batches of bread dough that were on the kitchen counter. One batch had yeast and another batch, of Irish soda bread, had raisins. Ordinarily, Bruno would be kept in a crate if Ann was out of the room, but she stepped away only briefly. “He destroyed everything,” Dowd said. She called the New Haven Central Hospital for Veterinary Medicine on State Street, and the staff told her to bring Bruno in because of the raisins and yeast. Bruno stayed several days overnight in a veterinary bill that resulted in a $1,188 insurance claim, not including hundreds of dollars in out-of-pocket expenses. Often when dogs eat something toxic, they are admitted for surveillance and veterinarians use a carbon-based substance to filter out toxins in the animal’s body, said Mazzaferro, the Stamford veterinarian affiliated with Cornell. Christmas can be an unusual spectacle to pets, festooned with glittery things to chew or bat around. Cats may not be likely to eat chocolate, but they often are attracted to tinsel or ribbons. For example, the pet insurer Trupanion paid a claim for a 5-month-old cat that ingested some ribbon and needed $2,800 of veterinary care to have it surgically removed. Trupanion recommends pet owners think of ways to ensure the safety of their animals, such as putting a Christmas tree behind pet gates or up on a tabletop, if the tree is small enough. 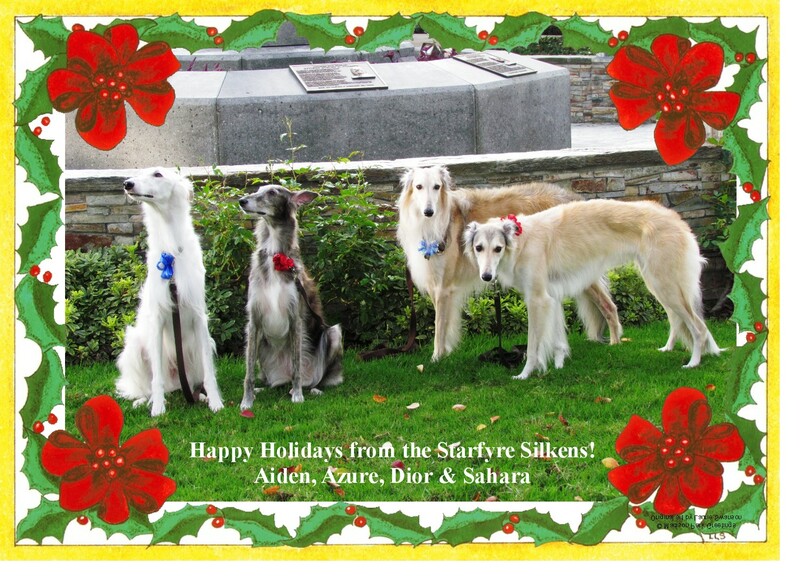 Probably the best known caveat to pet owners is about poinsettias toxicity to cats and dogs. The bright red flowers often used to decorate around Christmas can be irritating to a pet’s stomach and mouth, sometimes causing vomiting, but the toxicity is “generally over-rated,” according to the American Society for the Prevention of Cruelty to Animals. Lilies are more dangerous than poinsettias. Cyclamen is sometimes used as a decorative Christmas flower, and it can cause vomiting, diarrhea, salivation and potentially death if an animal ingests a large amount, Mazzaferro said. Another popular holiday flower, Amaryllis, can cause vomiting, diarrhea, salivation and tremors. “We have a strict rule now that there is no chocolate out in the house, on a counter, or anywhere, if she can get within reach of it,” Lipsy said. Question: Why is my dog drinking and urinating more? Is this normal? What is the quickest way to find out the causes? Answer: One of the most common owner complaints in veterinary medicine for both cats and dogs is for increased drinking and urination. There are a plethora of causes, but if your animal shows these clinical signs a timely appointment with your veterinarian is warranted. You may notice that your pet has increased frequency and volume of drinking/urination, is having “accidents” in the house, is showing signs of urinary incontinence (waking up in a pool of urine, dribbling urine while walking around), or urinating in unusual places. Some of the common causes of increased drinking and urination in dogs are diabetes mellitus, kidney disease, infection in the urinary tract, excessive adrenal hormone production, pyometra (infection of the uterus), and liver disease. In cats, the most common causes of increased drinking and urination differ slightly than of those in dogs, and include kidney disease, diabetes mellitus, hyperthyroidism, and liver disease. Most of these potentially life-threatening conditions can be quickly ruled out through accurate history taking, a thorough physical examination, and simple blood and urine tests. In some cases additional diagnostics may need to be performed. These may include X-rays of the chest and abdomen, cultures and hormonal blood tests. Depending on the results of the diagnostics referral to an iternal mdicine specialist may be helpful as more advanced diagnostics/treatments may be required. These could include ultrasound, Xrays with contrast, endoscopy, MRI and hyperbaric oxygen therapy. For example, if diabetes mellitus is left untreated, severe metabolic disturbance (Ketoacidosis) will develop. This is a life-hreatening condition requiring 24-our intensive care. 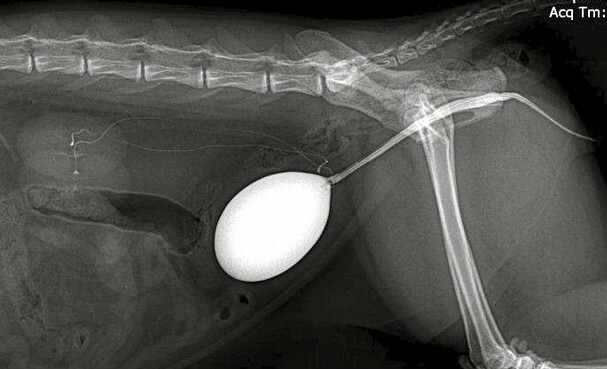 An infected uterus occurring in female intact dogs requires an emergency surgery. If not addressed promptly, this condition may prove fatal. Untreated hyperthyroidism in cats can result in severe weight loss, chronic diarrhea/vomiting and significant heart disease. Hyperthyroidism may be managed medically, or more definitively treated with radioactive iodine (I-131) therapy. There are a variety of liver conditions often require more advanced diagnostics such as ultrasound, full thickness biopsies, or a portogram (videofluoroscopy). Untreated liver diseases may progress to cirrhosis (irreversible scarring of the liver). Hyperadrenocorticism is a condition of excessive adrenal hormone production. Although a diagnosis in most cases is relatively easy to obtain, some specific cases require further diagnostics such as an abdominal ultrasound to evaluate the adrenal glands and liver, and an MRI to evaluate the pituitary region of the brain. Prompt identification of the cause of increased drinking/urination leads to a better chance of successful outcome. If you notice any increased drinking and/or urination in your pet please contact your primary care veterinarian immediately. 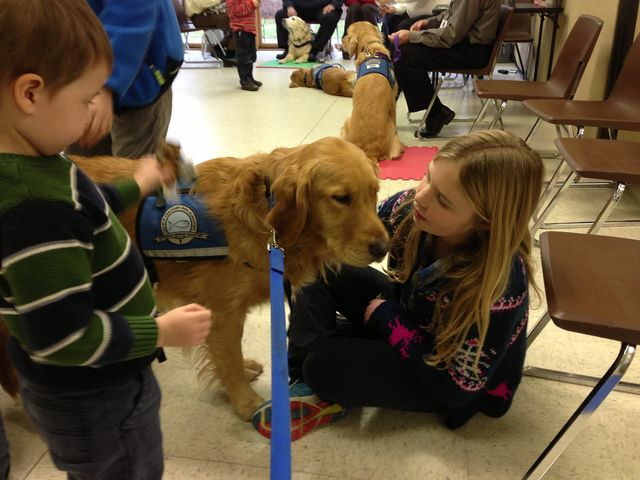 The dogs all come from the K-9 Comfort Dog Ministry at Lutheran Church Charities, based near Chicago. The dogs were present yesterday at Newtown High School when President Obama spoke about the recent massacre. People and kids often pet the dogs while they talk or pray with the handlers. Sometimes those who are grieving prefer just to spend quiet time with the dogs, receiving comfort from their assuring presence. The dogs are deployed during national disasters. But they also handle daily matters where their soothing help is needed, such as at hospitals and nursing homes. Each dog carries a business card listing its name, Facebook page, twitter account and e-mail address so that those who connect can stay in touch. At present, the following K-9 Comfort Dogs are in Connecticut: Abbi, Barnabas, Chewie, Hannah, Luther, Prince and Ruthie. Yesterday the dogs went to Christ the King Lutheran Church, where funerals are being held this week for two of the slain children. The comfort dog project has been in place for four years. It began in 2008, after a gunman killed five students at Northern Illinois University. Now 60 dogs in six states are prepared to help out when tragedy strikes. Today, the six dogs sent to Connecticut are with surviving Sandy Hook students. An Army specialist’s most valuable weapon when moving through Afghanistan just may be his dog. This firsthand account of a soldier relying on a bomb-sniffing dog sheds light on the gravity of war and the vital importance of bomb-sniffing canines. Army Specialist John Nolan’s heart pounded as he stared into the wadi in central Afghanistan. He wasn’t sure what lay beneath the loose, granular dirt. Was there a 500-pound bomb buried beneath him? If that thing detonated, he would be dead. Maybe there were some homemade explosive or land mines? If they exploded right now, he might live. He might not. Man, this was crazy. Searching for something that could end his life instantly was insane. What the hell was he doing? He missed his wife Cara. She was pregnant with their first child. He wanted to see his little girl born. He didn’t want to die in this Godforsaken pothole of a country. He looked over his shoulder at Master Sergeant Johnny Ramey who nodded to him. Then he looked past Ramey to the others, the men of the Green Beret team he was assigned to. Lean, mean and focused—these nine men had nearly 100 deployments among them. The country saw the Green Berets as supermen. He knew better though. The Green Berets were just men like he was. They would die for you, John Nolan. Now you need to make sure they get home safely to their families. Focus, Nolan. They are your countryman. They need you. Focus on The Bear. Be one with Honza Bear. He looked down into the wadi which followed the natural contours of the land. During the rainy season the wadi probably carried water. Now it was just another place for the Taliban to set up explosives. Just another place to kill him and his countrymen. But he had a secret weapon. The squarely-built, tan, muscular, 100-pound Labrador Retriever moved slowly across the wadi. His nose was low and his tail wagged. He could have been any of the Green Beret’s family dogs back at Fort Bragg North Carolina. But he wasn’t. A sniff here. A sniff there. Tail wagging. The Labrador appeared to be foraging picnic sites for picnic baskets. But he wasn’t. Army Specialized Search Dog Honza Bear was on the hunt for explosives. John followed Honza cautiously. Honza Bear’s yellow stomach was splotched with dark dirt marks. And he looked like he had dark brown mittens on. What the hell is Honza doing? John wondered. The local Afghanis said the explosives were in the wadi. Why was Honza Bear leaving the wadi? Honza Bear paused, his tail wagged more quickly, and his nostrils flared quickly. John shivered with fear and excitement because he knew that Honza Bear was “on scent.” Honza Bear could smell an explosive. Honza Bear moved back up into the grape field. He sniffed the three-foot high thick dirt mounds but apparently didn’t like what he smelled. He went back down into the wadi and then back into the grape field. He knew Honza Bear was trying to pinpoint the exact spot of the explosive. They called this “bracketing” in the dog world. Honza Bear brushed by him, moving at a trot. John froze. He didn’t want to step on the explosive. It could be set up to blow with a pressure plate. His weight would certainly set the explosive off. And he didn’t want the men to step on it either. “Master Sergeant Ramey, Honza is on scent. Back away,” John said. Ramey nodded and placed the team into a secure perimeter, allowing John to focus on Honza Bear. Honza Bear entered the wadi with his nose low and nostrils flaring quickly. He suddenly stopped and craned his neck up and out. Had he found it? John wondered. Honza Bear bolted up and out of the wadi, ran to a mound of dirt near the grape field, and disappeared. “Honza,” John called as he followed Honza’s path. He knew chasing Honza Bear was risky. It didn’t matter. Honza Bear was his partner. He hated losing sight of his dog. John began searching the mounds but couldn’t find him. After a minute or so he caught a glimpse of a yellow tail. Honza Bear had crawled into a hole half his size and was lying down in a final response. The John saw the five-gallon jugs wrapped in plastic inches from Honza’s nose. John wanted to pump his fist in excitement. Honza and he had found an explosive. It was their first find. But there was no time to be proud or pat himself on the back. They needed to get the hell out of there before it exploded. “Honza, leave it, come,” John said. Hearing his emergency recall Honza leaped up and jumped out of the hole. He rumbled towards John with his tongue nearly dragging on the ground. John pulled out the dog’s reward–a ball on a rope–and tossed it in the air. Honza caught it in midair and chomped down. John hooked him up to the leash and dragged the euphoric dog from the spot. Ramey had the team engineer, Sergeant First Class Kingston, inspect the hole and the explosives. It was confirmed. John’s and Honza’s first find! They had just prevented those 25 pounds of explosives from being used to kill or maim their countrymen. It was an amazing feeling to remove something so destructive from the battlefield. John had just proven their worth to the Green Berets. Maybe he could do this for a year. John knew there was much more to find and remove. And he knew one thing for sure. Today’s find was relatively simple. They wouldn’t all be like this. But John wasn’t worried. He had Honza Bear. 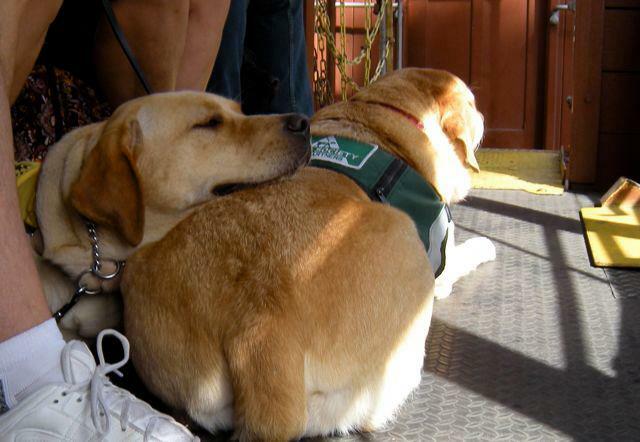 Every fall, OCTA invites therapy and service dogs and handlers to ride OCTA buses to Knotts Berry Farm and enjoy the park. This is wonderful continued training for everyone. Laurel Shulman’s AHF Caring Creatures Pet Partner, Paisley, takes it in stride. I’d say she’s just plan “non-plused” with the whole experience! What a dog! The skinny on chocolate: Is it actually harmful for dogs? Q: I have heard that chocolate is toxic for dogs, but my dog has gotten into chocolate before and has not had any problems. So I am curious to know if chocolate is actually harmful or not? A: The simple answer to your question is yes, chocolate is toxic; however, it is the ingredient theobromine that is contained in chocolate that is toxic to dogs. The toxicity is based on the amount of theobromine that the animal ingests when compared to the animal’s weight. 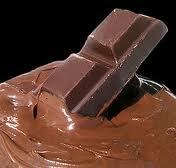 It also matters what type of chocolate is ingested because the amount of theobromine in chocolate varies. Any dose of theobromine over 45 mg/kg is potentially toxic and possibly lethal for dogs and should be treated aggressively by your veterinarian. As an example, milk chocolate contains 44-64 mg theobromine per ounce of chocolate — so an average sized 80-pound Lab would need to ingest approximately 30-50 ounces of milk chocolate for a toxic dose. That is almost 3 pounds of milk chocolate! However, unsweetened baking chocolate contains 450 mg theobromine per ounce of chocolate. That means that same 80-pound Lab would be at a toxic dose after only 3.5 ounces! So, you can see that the weight of the animal and the type of chocolate determine the toxic dose. Even if your dog eats chocolate and does not ingest a toxic dose there are other serious consequences to eating the chocolate such as severe stomach and intestinal upset, pancreatitis, diarrhea, vomiting and more. Any ingestion of chocolate is bad for a dog; whether it eats a toxic dose, your dog could suffer some serious adverse reactions. Since even a small dose of theobromine is potentially toxic and possibly lethal for dogs, it is recommended that you contact your veterinarian immediately for advice. LACKLAND AIR FORCE BASE, Texas — Not long after a Belgian Malinois named Cora went off to war, she earned a reputation for sniffing out the buried bombs that were the enemy’s weapon of choice to kill or maim U.S. troops. Cora could roam a hundred yards or more off her leash, detect an explosive and then lie down gently to signal danger. All she asked in return was a kind word or a biscuit, maybe a play session with a chew toy once the squad made it back to base. But after months in Iraq and dozens of combat patrols, Cora changed. The transformation was not the result of one traumatic moment, but possibly the accumulation of stress and uncertainty brought on by the sharp sounds, high emotion and ever-present death in a war zone. Cora — deemed a “push-button” dog, one without much need for supervision — became reluctant to leave her handler’s side. Loud noises startled her. The once amiable Cora growled frequently and picked fights with other military working dogs. When Cora returned to the U.S. two years ago, there was not a term for the condition that had undercut her combat effectiveness and shattered her nerves. Now there is: canine post-traumatic stress disorder. “Dogs experience combat just like humans,” said Marine Staff Sgt. Thomas Gehring, a dog handler assigned to the canine training facility at Lackland Air Force Base, who works with Cora daily. Veterinarians and senior dog handlers at Lackland have concluded that dogs, like humans, can require treatment for PTSD, including conditioning, retraining and possibly medication such as the anti-anxiety drug Xanax. Some dogs, like 5-year-old Cora, just need to be treated as honored combat veterans and allowed to lead less-stressful lives. 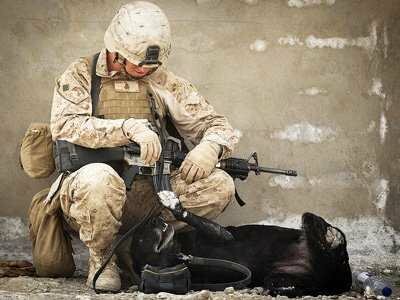 Walter Burghardt Jr., chief of behavioral medicine and military working-dog studies at Lackland, estimates that at least 10% of the hundreds of dogs sent to Iraq and Afghanistan to protect U.S. troops have developed canine PTSD. Cora appears to have a mild case. Other dogs come home traumatized. “They’re essentially broken and can’t work,” Burghardt said. There are no official statistics, but Burghardt estimates that half of the dogs that return with PTSD or other behavioral hitches can be retrained for “useful employment” with the military or law enforcement, such as police departments, the Border Patrol or the Homeland Security Department. The others dogs are retired and made eligible for adoption as family pets. The decision to officially label the dogs’ condition as PTSD was made by a working group of dog trainers and other specialists at Lackland. In most cases, such labeling of animal behavior would be subjected to peer review and scrutiny in veterinary medical journals. But Burghardt and others in the group decided that they could not wait for that kind of lengthy professional vetting — that a delay could endanger those who depend on the dogs. Since the terrorist attacks of 2001, the military has added hundreds of canines and now has about 2,500 — Dutch and German shepherds, Belgian Malinois and Labrador retrievers — trained in bomb detection, guard duty or “controlled aggression” for patrolling. Lackland trains dogs and dog handlers for all branches of the military. The huge base, located in San Antonio, has a $15-million veterinary hospital devoted to treating dogs working for the military or law enforcement, like a Border Patrol dog who lost a leg during a firefight between agents and a suspected drug smuggler. “He’s doing fine, much better,” the handler yelled out when asked about the dog’s condition. Cora received her initial training here and then additional training with Laub at Moody Air Force Base in Georgia. Before they could deploy, however, Laub was transferred to Arkansas, and Cora shipped off to Iraq with a different handler, much to Laub’s regret. 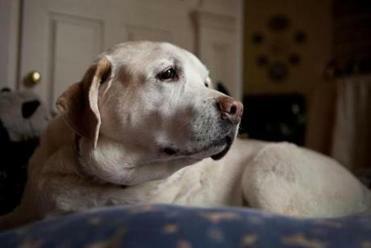 Life with Dempsey, a blonde Labrador retriever with a soft round head, has changed for Kevan and Sheila Cunningham. The trio once hiked on conservation land near their home in Southeastern Massachusetts. They relaxed in front of the TV as Dempsey curled up in his own chair. They took vacations as a family and slept together in a big bed. The Cunninghams got the dog when the Lab was 8 weeks old, and they still refer to Dempsey as their “baby.” Fourteen years later the puppy is 98 in human years. Senior Dempsey, arthritic and failing, can’t climb stairs anymore, jump up to the bed, or ride in the car. The beloved pooch has good days and bad. Living with an elder of any species is heartbreaking, gratifying, uplifting, and patience-trying. Old dogs have an especially deep emotional pull when they peer up with their sweet, sad, trusting eyes. The Globe’s Brian McGrory wrote a 2004 column, “The Brown Eyes of Wisdom,” an elegy to his golden retriever Harry in the final act. The lead sentence is a weeper: “They should come with a warning label, these creatures. They should come with a label that says you’re going to fall hopelessly in love, only to have your heart shattered before you could ever possibly prepare.” Kevan Cunningham keeps a clipping of the column close. Old dogs touch a nerve — and the pocketbook. With an eye on burgeoning market possibilities of the senior set, canine product purveyors sell specially formulated kibble, beds, bowls, ramps to get up into the car, harnesses, diapers for incontinence, as well as various supplements, herbs and holistic remedies designed to cosset a senior dog through its last years. Doting owners find it difficult to resist the pitch for anything to help their four-legged family member. Jon Comeau, product development specialist for dogs at Vermont’s Orvis Company, says his company’s market expands with the aging dog population. Dempsey, a 14-year old blonde labrador retriever, rests on his special soft egg crate bed, located at the bottom of the stairs in his home. The bed is situated there because he can no longer climb the stairs, and he likes to hear his owners when they are upstairs. Beds are big sellers for elderly dogs with creaky joints. “We have several versions of Tempur-Pedic and regular memory-foam beds,” says Comeau, who touts the advantages of rectangular beds for stiff dogs who won’t curl up because of the pain. Orvis, which claims to have sold the first dog bed in 1976, also sells absorbent covers for incontinence. According to the latest statistics from a survey of pet owners by the American Pet Products Association (APPA), there are 78.2 million dogs in US households. The numbers give no breakout figures for how many senior dogs are out there but veterinarians and other experts anecdotally agree canines are living longer because of advances in veterinary care, better food, and heightened owner awareness about how to keep a dog healthier longer. “We’ve seen a real change in the overall life span,” says Dr. Moses. Anne Shuhler of Watertown got a jolt when her veterinarian made an offhand remark while examining her “genuine mutt” Sawyer. Since then, Shuhler has made her peace and now refers to Sawyer, a 10½-year-old with shades of German shepherd and collie, as her “old man.” The two hiked in the White Mountains of New Hampshire not long ago. Underwood says the Silver Tails line, which includes mats with bamboo charcoal inserts to warm furry bodies and infrared massagers, will now go into “boutique” stores where dog keepers have more of a connection to the sales staff. Yet, Rob Van Sickle, co-owner of the Polka Dog Bakery in Boston’s South End and Jamaica Plain, says any marketing pitch for dogs through their owners can be foolhardy.